Thor: Ragnarok will have an appearance by a Planet Hulk character, played by the director himself. Taika Waititi announced during Marvel Studios' big Saturday night presentation at SDCC that he will play the rock alien Korg in the upcoming Marvel Studios film. In a clip from the movie that was played at the SDCC presentation, fans even saw Korg speak to Thor in a surprisingly soft-spoken voice. According to Waititi, he based Korg's voice on Polynesian bouncers who had soft and delicate voices. Marvel fans will remember Korg from the acclaimed Planet Hulk and World War Hulk storylines. 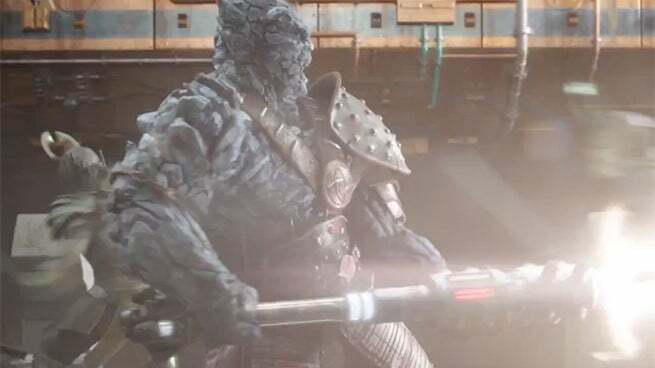 Korg is a Kronan alien enslaved on the planet Sakaar who becomes a dear friend and ally to the Hulk when Hulk starts a rebellion on that world. When Hulk traveled to Earth for revenge against the Illuminati, Korg followed him to Earth and helped in his epic battle through New York. Interestingly, in the comics, Korg's greatest fear is Thor. Korg isn't the first Kronan to appear in the Marvel Cinematic Universe. Thor defeated a Kronan in Thor: Ragnarok, and two Kronans briefly appeared in Guardians of the Galaxy Vol 2. In Thor: Ragnarok, Thor is imprisoned on the other side of the universe without his mighty hammer and finds himself in a race against time to get back to Asgard to stop Ragnarok – the destruction of his homeworld and the end of Asgardian civilization – at the hands of an all-powerful new threat, the ruthless Hela. But first, he must survive a deadly gladiatorial contest that pits him against his former ally and fellow Avenger – The Incredible Hulk! 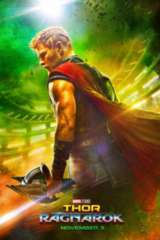 Thor: Ragnarok is directed by Taika Waititi from a screenplay by Eric Pearson, and stars Chris Hemsworth, Tom Hiddleston, Cate Blanchett, Idris Elba, Jeff Goldblum, Tessa Thompson, Karl Urban, Mark Ruffalo, and Anthony Hopkins.